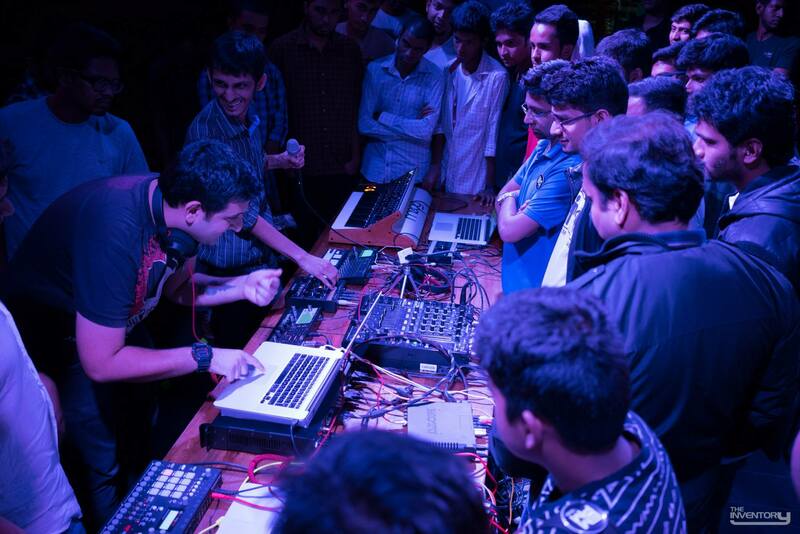 EMPM is an open meet encouraging Artists, Producers, DJs and Sound Engineers of various skill levels (from beginners to professionals alike) to interact and share knowledge on various topic on music production. This is also a great platform to collaborate, connect and expose yourself to different artists and their unique experiences, thereby inspiring you in new directions. This first edition is dedicated to Synthesizers, you’ll have a chance to get your hands on the best synthesizers in the business from brands like Moog, Waldorf and Arturia. Get tips and tricks from established artists such as Audio Units, Premik Jolly, Tanseer Jabbar and Krishnamurthy Ramesh on how to get the most out of a synthesizer along with impromptu jams on the gear. Learn all about synthesizers and how they came into every mainstream and underground production out there with a brief talk about synthesizer history and the brands that shaped them. Get on top of your production game with tips from the artists on how to program synths and make usable patches along with inspiration from hands on time with the legendary synthesizers. Experience the power of the oscillator! Premik showing his patches on the Waldorf. Tanseer talks about the powerful Arturia Mini & Micro brutes. The mothership Moog Sub37 in NoLatency’s skilled hands.